It’s Spring again… Green is starting to appear in the northern latitudes, the NBA playoffs are just around the corner, you realize that you haven’t filed your taxes yet, and the annual Specialty Coffee Association’s Expo is coming up. This year will be my fifth consecutive year attending – I’m starting to feel like a “local,” but I’m well behind my some of my friends, like Rick Peyser, who has been to all the Expos except one since 1990, and Ben Corey-Moran, who has probably been attending since before he could grow a beard! As a local, I recognize many familiar, friendly faces; I can anticipate the rhythm of the week; I know some of the “secret” spots to have a meeting in the middle of the Expo; and maybe – most importantly – I know where to get a free beer or two. It’s taken awhile, but this year I have a much better idea of what I want out of these intense few days. I know with whom I want (and need) to talk to and I’ve highlighted the sessions that I want to attend that addresses some burning issues for me. But, despite my best planning, I’m bound to have an impromptu meeting near a pop-up café, get some coffee, talk about the origin/preparation/taste/projects/life/surfing and then end up running late. Then my next meeting, will likely be pushed back a few minutes (and hopefully my meeting partner’s as well, perhaps for the same reason). But the serendipitous un-scheduled meetings and interactions with people outside of your network that happen at EXPO that can be memorable and unexpectedly fruitful. For instance, in Atlanta, I met my tocayo, another Kraig with a K, who works with Starbucks. In my 40 years of existence, I’ve only met 1 other Kraig with a K.
How can a relatively new participant get the most out of their SCA experience? 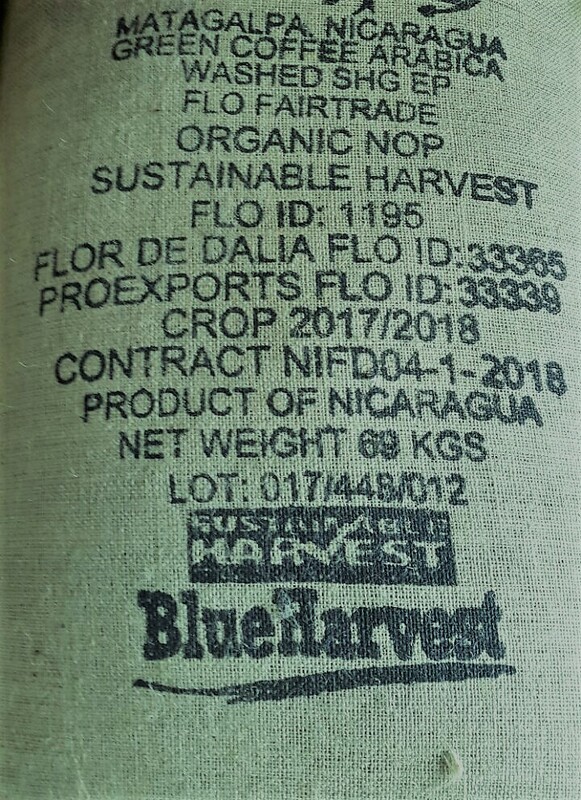 This year, Blue Harvest and CRS Nicaragua are sponsoring the participation of Flor de Dalia for their second time to Expo. 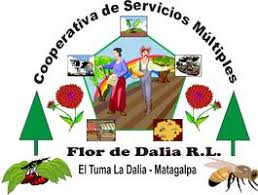 Flor de Dalia is a medium size multi-sector cooperative (323 members) located in the municipality of Tuma La Dalia, just north of Matagalpa, Nicaragua. 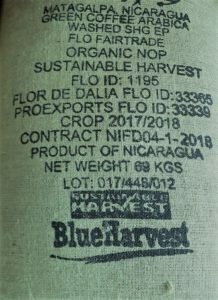 Flor de Dalia has been working with Blue Harvest, principally on commercialization and improving their coffee quality. This year, we have helped them sell certified coffee to Equator and Keurig Green Mountain. I recently spoke with Wiston Vilchez, their general manager, about his previous experience at SCA, which was in Atlanta in 2016. “So what’s going to change this year? Who do you want to meet with? What do you want out of it?”, I asked Wiston. Wiston’s experience isn’t unique. I know many of my Latin American colleagues get overwhelmed at the Expo – especially on your first few trips. There are too many options of how to spend your time – including outside of the Expo. You have to navigate logistics in another language, which you may or may not speak that well. Your network only goes so deep and it’s hard to meet people you don’t know. Do your homework. Take a few minutes to prepare and figure out what you want out of your short time at SCA. Look at the schedule. Make your own schedule and figure out where and when to meet people. Use your network. Do you not know how to contact someone? Surely someone in your network knows. Ask them to help you out and make an introduction. Either via email, or in person at the EXPO. Show up and don’t be shy. There are lots of places to meet potentially new and interesting clients/partners/providers. Show up. Smile, say hi and introduce yourself. Flor de Dalia, 323 members, 100 of which are women. They were established in 2004 and currently produce coffee, cacao and honey. They are certified organic (NOP, EU), FLO and UTZ. Their current volume is about 1400 QQ. You can contact Wiston directly through his email – coop.florddalia (at) yahoo.es. Alternatively, if you are hesitant to write in Spanish, you can always drop me a line.